chemical have been gaining ground. Fish sauce is another kitchen staple that fits the bill, popping up in supermarkets and restaurants recently. 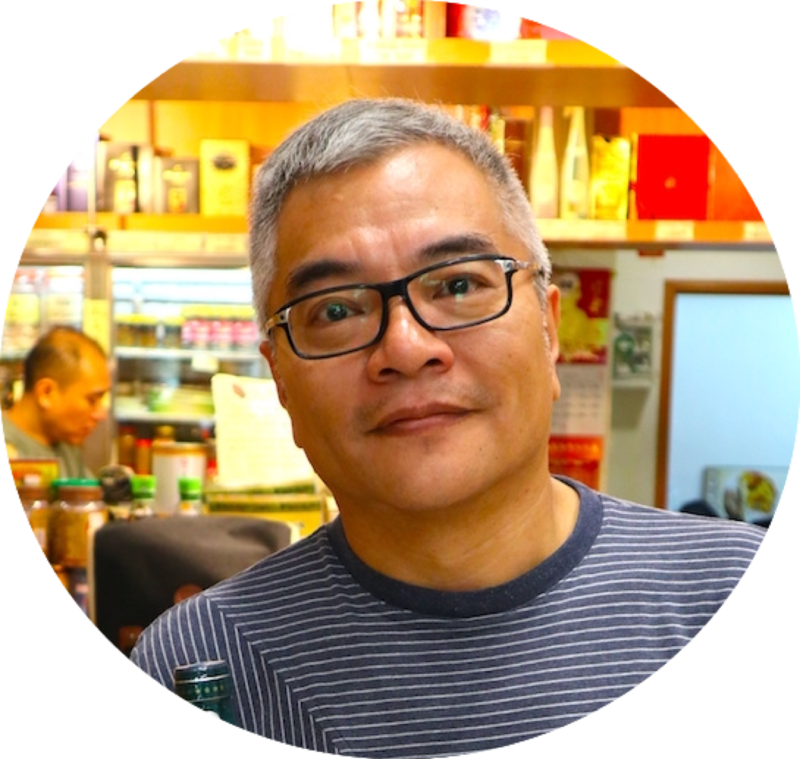 Our search for the highest quality fish sauce took us to Shanghai New Sam Yung, a food purveyor in Hong Kong, for a chat with its owner Chan Tiu-Ming. Chan takes care of purchasing at the grocery shop well-established for its Shanghainese products. The outlet has also been active in diversifying its offerings, with premium food ingredients across Asia like Vietnamese fish sauce and Taiwanese rice vermicelli now among its shelves. Making fish sauce isn’t exactly rocket science. It first has fish marinated in salt and fermented in a container. The meat of the fish releases its juice after the while, and that is what we know as fish sauce. The method has been adopted by Thai, Vietnamese, Chinese communities. Even the ancient Roman Empire produced a version of fish sauce called garum. In the past, fish sauce was sold by cart-pushing hawkers on the streets. This practice was still in place until the 60s and 70s in the Teochew-Shantou area of China. The locals would bring their own bottle or bowl as a container. From the famous oyster pancake to oyster congee to pan-fried tailfish, the fermented liquid has endless uses in the regional fare. 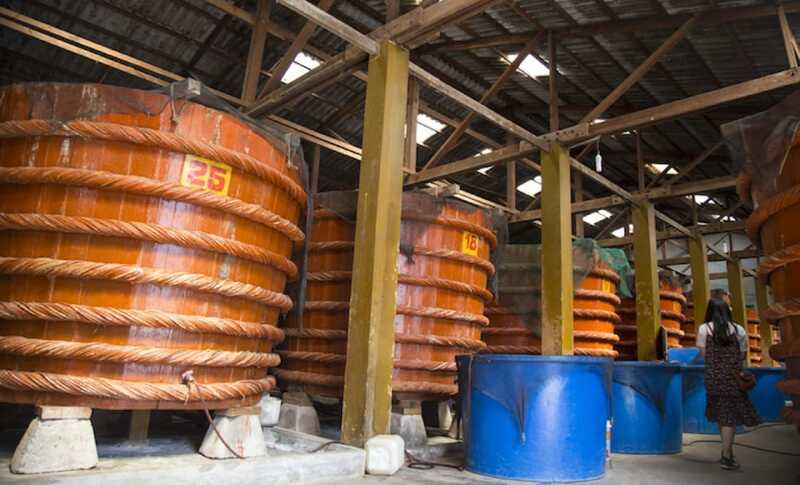 Larger-scale fish sauce factories emerged in the following decades. The sauce can now be found easily in bottle form across South-east Asia. “The principle of making fish sauce is the same among different countries. But the taste varies slightly due to differences in weather and technical details in production,” Chan says. Which Countries Have The Best Fish Sauce? The fish sauces sold in Hong Kong are respectively produced in Thailand, Vietnam and China. It is paramount to Thai cuisine, as a component in dishes like sour and spicy chicken feet salad, yum som-o (pomelo salad) and goong chae nam pa (raw shrimps in fish sauce). To fit the more intense, stimulating flavour profile of the cuisine, the sauce tends to be more salty, so that it stands up to the other strong seasonings. Naturally, Thai fish sauce is the best fit for Thai dishes. Chinese and Vietnamese fish sauces are lighter, placing a premium on the fish’s umami. As such, they work better in more subtle Teochew and Vietnamese food. The production of Phú Quốc fish sauce in Vietnam. How To Choose Vietnamese Fish Sauce? Among all the varieties, Vietnamese fish sauce is the most refined. Since Vietnamese food is more restrained in flavour and herb-based, it largely rests on the freshness of ingredients and the fish sauce to bring the umami level up a notch. The fish sauces in Vietnam are often labelled clearly with their origin, degrees and the types of fish used in production. That makes it much easier for diners to choose the most suitable product for their cooking. The Vietnamese fish sauces can be divided into two categories. There is nước mắm, which is composed of 100% natural fish essence without any seasoning, while nước chấm is flavoured with wine vinegar or garlic. The former can be used for cooking or added to other ingredients to make a dipping sauce. On the other hand, the latter is a ready-made dipping sauce. Equally important is the degrees of the fish sauce. “The degrees (°N) on the label of Vietnamese fish sauce represent the protein content. The higher the value, the higher the protein content and the umami, and the higher the price,” Chan explains. The degrees of Vietnamese fish sauce varies from 20°N to 60°N. Bottles with lower degrees are more suited for cooking, since the heat breaks the protein content and thus the umami of the sauce. Using high degrees in this regard seems like a waste. Rather, it demonstrates the full potential of dipping sauces. Anchovy fish sauce made in Phú Quốc, Vietnam. Another point of note in buying Vietnamese fish sauce is to see if it is made from the first draw, usually called nước mắm nhỉ or nước mắm thượng hạng. The advantage of it is a more pure, sharp taste. If it comes with high degrees, you’re in for an umami bomb, the most ideal choice for dipping sauces. In terms of the type of fish, cá cơm is a kind of anchovy that is very popular in Vietnam for fish sauce production, and the sauce made from this fish is usually more aromatic and less salty than that from mackerel or beltfish. Provenance is the final determinant in the quality of the fish sauce. There are three major fish sauce production hubs in Vietnam: the southernmost island of Phú Quốc, Phan Thiết and Nha Trang. The sauce’s origin is always marked on the bottle, and Phú Quốc has the most desired products among the three. Besides being home to more fragrant fish, the island also insists on maintaining traditional production methods by using natural sea salt and wood barrels in the process. “Observe the colour and smell of the sauce before buying. Premium Vietnamese fish sauce has a clear amber hue. As you shake it lightly, you’d see air bubble emerge, which shows it has a lot of protein and umami. Quality fish sauce is also thicker. It would stick to your fingers,” Chan says. This article was written by Joe Chan and translated by Vincent Leung. Click here to read the original version of this story. Ce La Vi’s head sommelier Mathias Camilleri and wine educator Fongyee Walker shed light on the differences between the two wine qualifications. Usher in the Year of the Earth Pig this Chinese New Year by chopping up your very own suckling pig. Tea sommelier Ann Sit from tea specialty establishment Fook Ming Tong in Hong Kong offers tips for choosing quality pu'er tea.